Product #20661 | SKU 019200-0000-110 | 0.0 (no ratings yet) Thanks for your rating! 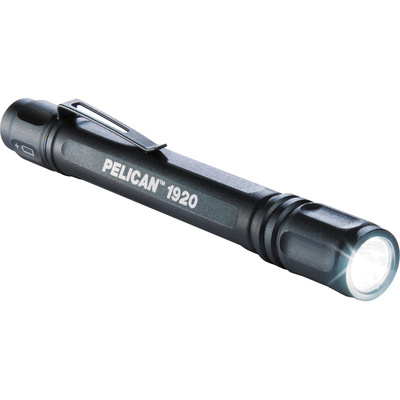 Pelican 's compact and powerful black 1920B MityLite LED Flashlight weighs in at just 62.4 g and features an anodised aluminium-alloy housing with a low output of 12 lumens for reading or performing tasks and a high 120 lumens for searching or lighting whole rooms. It is O-ring sealed and rated to IPX7 standard allowing it to be submersed in water to 1 m for up to 30 minutes. The MityLite has a convenient carbon-steel pocket clip and runs on two included AAA batteries.